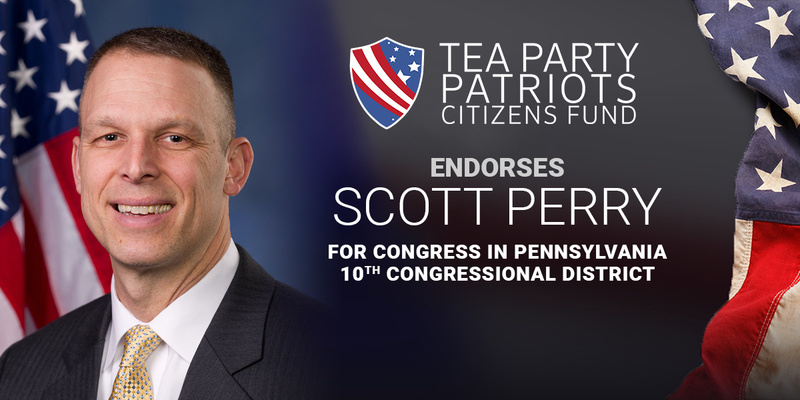 “In the contest for the congressional seat in Pennsylvania’s 10th congressional district, the choice for conservatives is easy – Scott Perry. “During his three terms in Congress, Scott has shown his courage in taking on the Swamp. As a member of the House Freedom Caucus, he has been willing to stand up to leaders of his own party when he believed them to be breaking the promises they had made to voters. He has fought to implement the key conservative principles of the GOP platform – stronger border security and an end to illegal immigration, lower taxes and less regulation, and the full repeal of ObamaCare – and will continue to do so in the next Congress. “Scott has the support of Tea Party members and supporters in Pennsylvania because they know his record as a leader on issues that count. Whether it’s defending the Second Amendment, or working to reduce spending and lower taxes, or strengthening border security, they know they can count on Scott to live up to his word.